I've been riding bicycles for a bit under a year, and a road bike for about 8 months. I've never had anything resembling a formal fitting, and have been adjusting setup based solely on personal feel -- this afternoon's the first time that I've tried taking photographs, so I might be able to see things externally. I was surprised by two things in these photographs -- first, how pointed down my toes were; I've lowered my saddle several times in the last couple months, and it _feels_ like me feet are almost horizontal on the downstroke, especially compared to where they'd been, but I guess not. Also, I thought the bend in my elbow was much more subtle than it appears to be. Until 3-4 months ago, I rode w/ my elbows nearly locked much of the time; I've been consciously trying to change that, to better effect than I realized. I'm probably gunna get a race-specific bike w/in a couple months, and make this my commuter; suggestions w/ this in mind are particularly sought. 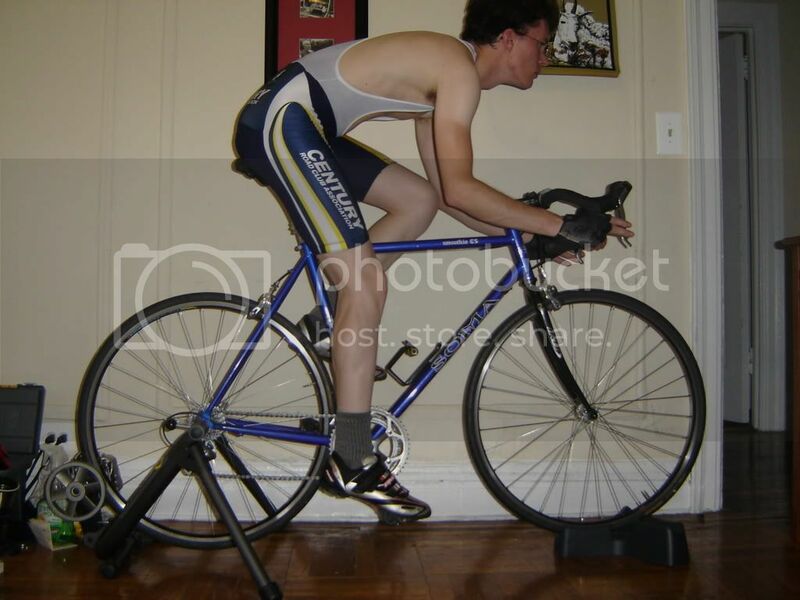 longer stem for starters....and your seat looks a litttle bit too high. Do you notice your hips rocking at all when you pedal? Last edited by GuitarWizard; 05-24-08 at 04:50 PM. What's the reasoning behind the longer stem? ... if I were replacing this w/ a completely new machine, would a slightly larger frame, and same sized stem do the same thing you're looking for? 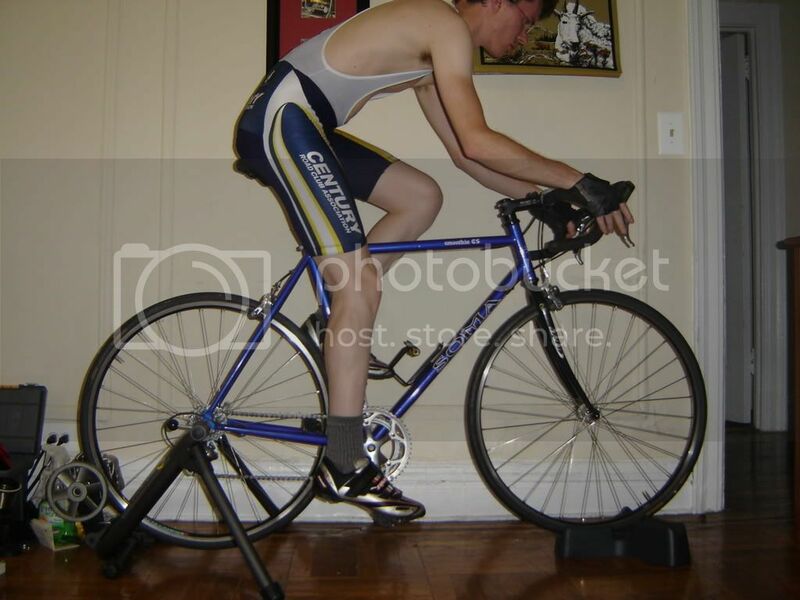 I'll second lowering the seat, but I think your current stem is just fine. And before that it was low enough that I could easily put my foot flat on the pavement w/ a bent knee whilst still in the saddle. I've been doing this based on feel, internet Wisdom, and zero previous experience. Even though it's been 6 weeks since the last time I lowered the saddle, it still feel too low (especially since I nail my chest w/ my knees when trying to get down in the drops) ... the photographs make it much more apparent that I need to lower the seat more, though. I am not expert, but I would recommend the same. That seat is absolutely too high. If you put your heel down, your knee would be locked. When you're tired, your hips should stay relatively stable. It's your shoulders that you'll start to throw around. 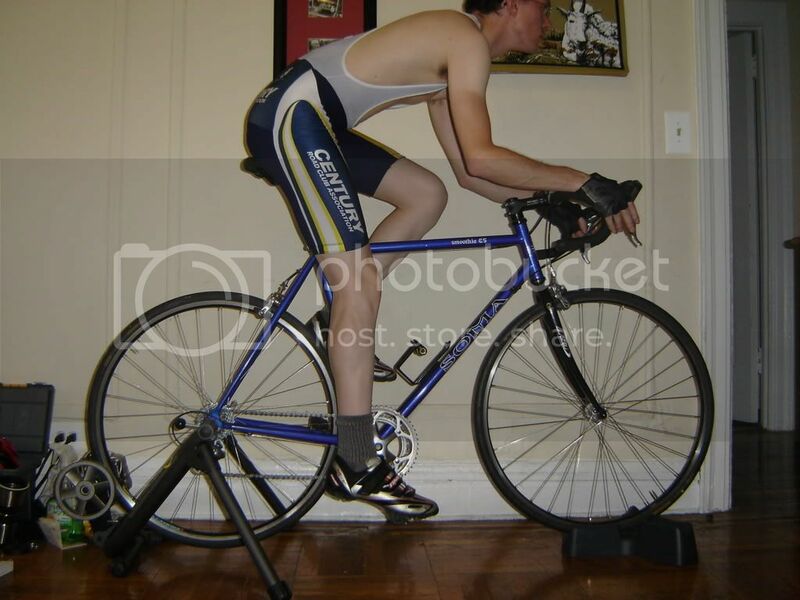 Definitely lower the saddle. Remember, when you lower the seat, it's like moving it forward, so you may need to slide it back a bit. As for the stem, I'd say stick with it. Even if it's borderline for your size, if you go to a longer one, you may find yourself locking elbows again when you are fatigued. Best to have a little natural bend on your side thanks to the bike geometry.